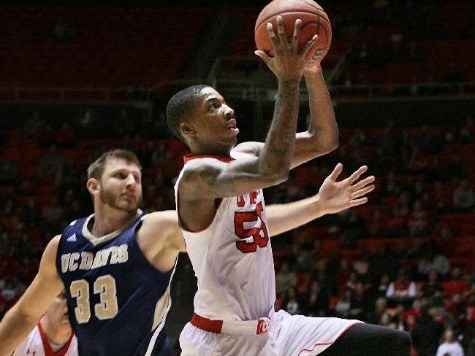 It appears Utah’s Delon Wright will hold onto the top Value Add ranking in the updated Top 100 below despite Shabazz Napier’s incredible tournament run. Doug McDermott will be the most valuable offensive player by the second largest margin of any year. Wright improved Utah’s scoring margin by 8.39 points per game, while McDermott was worth 8.30 on offense but slightly less (7.07) once defense was accounted for in a system explained by Sports Illustrated here. The Value Add system accounts for every statistic available for each player that either hurts the team’s scoring margin or helps it over what would happen if a good bench player from a power conference took his place. For example, based on Wright’s 8.39 rating we would expect that if Utah won a game 75-68 on a given night, that if a good bench player had taken his place that night they would have lost 70-71 (5 more points generated by Wright on offense, and three points taken away from opponents). Most fans assume the impact would be greater, but when a star player is lost the second best player gets more shots, etc., and a player who changes the score by eight points a game on average will normally dramatically improve his team’s record. Utah had only one other player in the Top 700 players. The players who still have games left to impact their rating are marked “alive,” but Napier is probably too far behind Wright (improves UConn’s score by 8.05) to catch him even if he led the Huskies to the title, and he is way ahead of third-place Sean Kilpatrick of Cincinnati. McDermott dropped from third to seven after a very poor offensive and defensive performance against Baylor, but was still by far the top offensive player (8.30 to 7.01 for Billy Baron). The database of all Division 1 players will be updated shortly at www.valueaddbasketball.com.